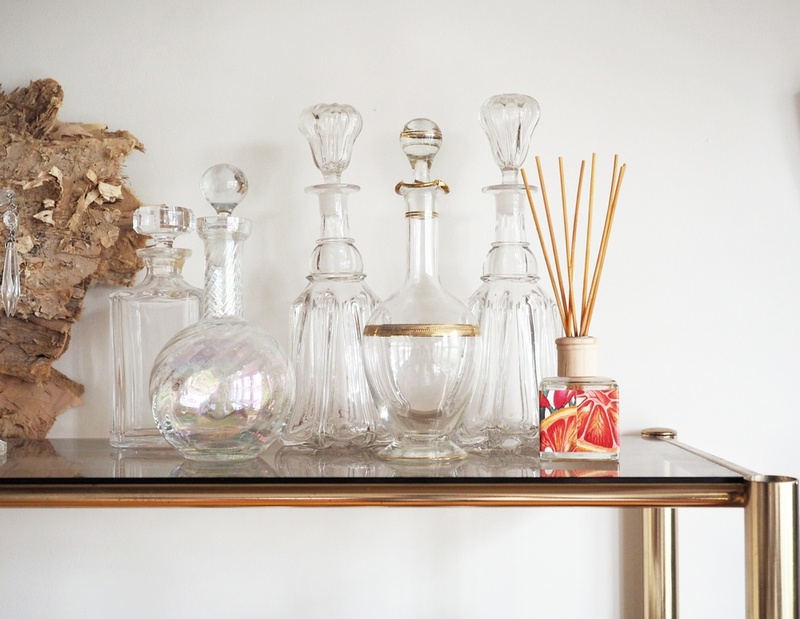 If you love the glint & glamour of a beautifully cut antique crystal decanter, you may want to think twice about using them to store alcohol on your bar shelf. Because with potentially high levels of lead contained within the crystal, that innocuous-looking decanter can leach lead into the alcohol, in as little as an hour, creating a dangerous drink. Lead was historically added to glass to create that magical reflective sparkle, by raising the refractive index and by allowing the glass to be worked at a lower temperature - which made it easier to remove the bubble flaws. It's difficult to be certain if lead is present in old crystal, and even more difficult to ascertain what percentage was used. These days, crystal glass may or may not contain lead. In the European Union, where much of the finest crystal is still made, glassware may only be labelled "lead crystal" if it contains at least 24% of lead oxide. Glassware with less lead oxide, or made with lead substitutes (such as barium oxide, zinc oxide or potassium oxide) and referred to as "lead free" must be labelled "crystallin" or "crystallin glass". Lead free crystal is much lighter than lead crystal, with less dispersive (the sparkle factor) qualities, but it can have a similar refractive (shine) index. Meaning, it's not quite as sparkly, but it's pretty good. A famous study into the leaching quantities on alcohol stored in lead crystal decanters was done by North Carolina State University in 2004, and they found that lead was absorbed by the alcohol at various rates, increasing over time. In one hour, white wine stored in a lead crystal container was found to double its lead content. After 5 years, stored brandy had absorbed more than 1000 times the US Environment Protection Agency's recommendations as safe lead levels in drinking water. However, while it's safer not to store your fortified spirits in lead crystal decanters as a long term thing, it's generally considered safe to use lead crystal wine glasses, as the liquid is not stored in them for long - provided they are washed well before use. But, it's better not to store alcohol in any lead crystal container for more than 1 hour. But if you have a bar filled with antique crystal decanters, don't throw them out. especially when grouped together to highlight the variations in their cut patterning and bottle shape. Used this way, they have quite a contemporary look to them, and it's far better for one's health than imbibing the lead along with the whisky. In our house, a collection of vintage lead crystal decanters are set near a window, and catch the morning light in a sparkly display.